April meant lots of baking for me between Easter and Adam's birthday. Adam decided on a cherry cake for his birthday. 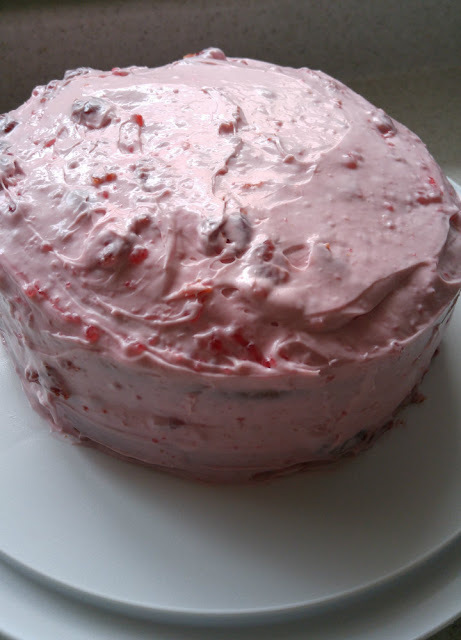 I ended up making an almond cake with a cherry buttercream. I found some sour cherry jam that looked incredible with its chunks of cherries and mixed that into the frosting. 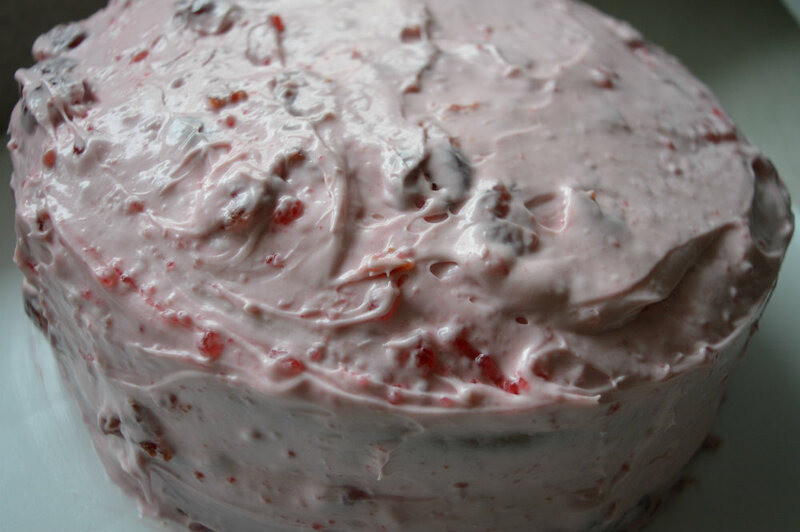 This allowed the frosting to have chunks of cherries throughout it which was really good. 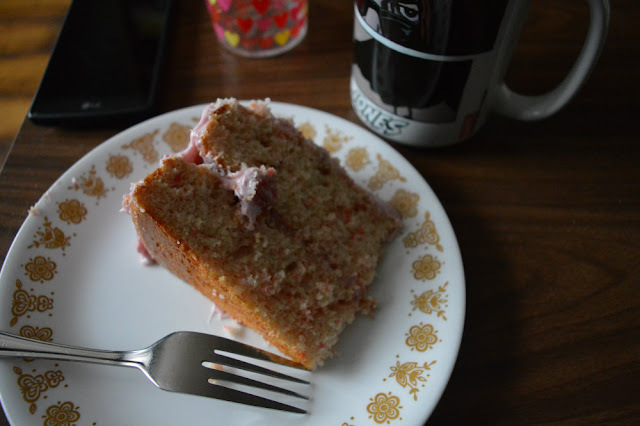 Just looking at these photos make me want cake again.... too bad it's all gone now. 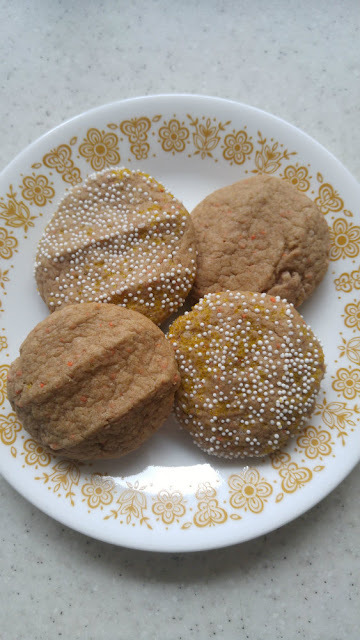 I wanted to make some homemade cookies but I was also short on time so I pulled out a box of carrot cake mix and made some easy cake mix cookies. I've made them numerous times before and I follow this recipe. The only difference was I rolled the cookie dough in different sprinkles and coloured sugars. This is the easiest cookie to make and they taste really good! They're always soft and full of flavour. These carrot cake cookies turned out spicy which pairs well with a cup of coffee. I love them! I have some fun baking plans for May after spotting some new ingredients at Michael's last week... fingers crossed the recipes turn out!